Wharfedale Pro is a specialist division that designs and manufactures pro and commercial audio equipment, from portable and touring sound reinforcement to fixed installation systems. Functioning as a separate entity within the IAG group, Wharfedale Pro concentrates solely on the professional audio market, offering a complete product range that caters for every stage of the signal path from microphone to loudspeaker. Renown for developing class-leading products with high performance and reliability, Wharfedale Pro continues to push the boundaries of innovation and value within the pro audio industry. Pro products are developed after deep research and market appraisal to ensure their prominence in design and technology. 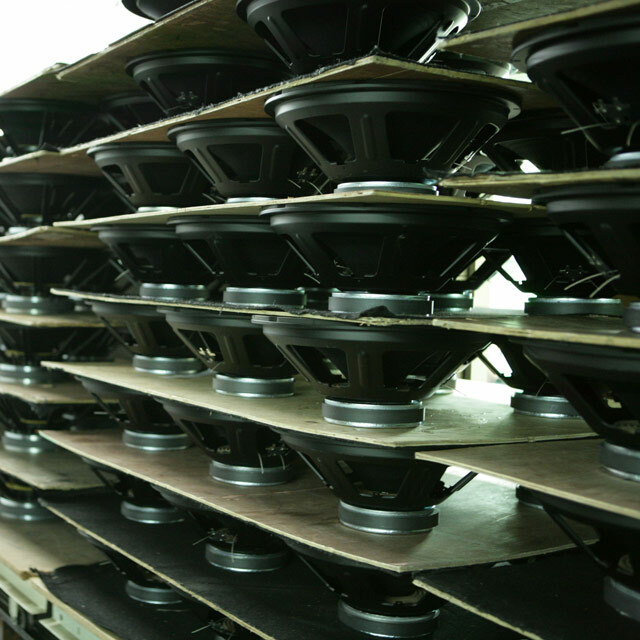 All Wharfedale Pro products are manufactured in an IAG owned state-of-the-art production facility where exacting standards are met at every stage of the manufacturing process. A rigorous quality control procedure is conducted from component level to the end product, resulting in an excellent finished product that is ready for a lifetime of performance. By making continued investment in research, development, design and manufacturing, IAG demonstrates a clear intention to grow the Wharfedale Pro brand and its global identity. The acquisition of world-class expertise and the very best technology guarantees that Wharfedale Pro will not only retain but also extend its position as best in its class. A fully ISO9001 approved factory uses the most advanced manufacturing equipment, including a full production suite for IAG’s own tooling. 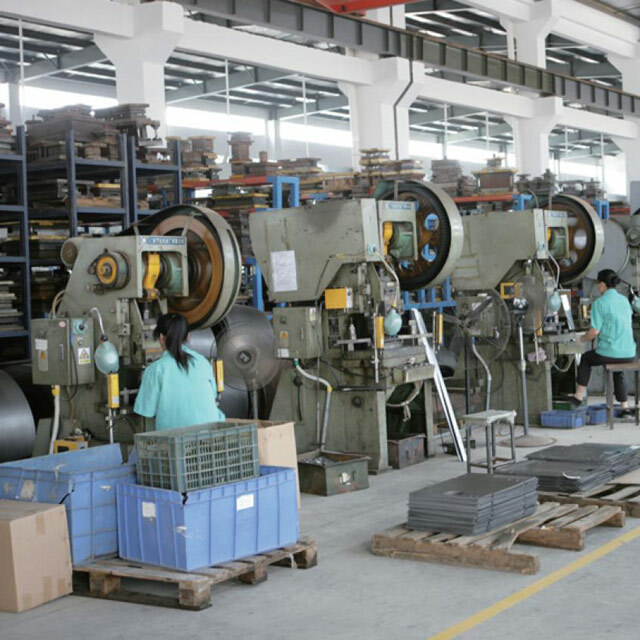 Such is the level of vertical integration that from pulp to finished product; from chassis manufacture to winding the voice coils and manufacturing the PCBs for the crossover – every single process occurs within the walls of the new factory in Jian, Jiangxi, China. Through virtually complete vertical integration IAG offers unparalleled value for money at each stage of manufacture. IAG produces its own cable for use in internal wiring. 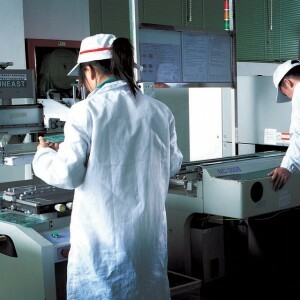 IAG’s own PCB manufacture facility uses the very latest surface mount technology. AOI and ICT facilities are used to test the PCB board. IAG’s own “lead- free” flow solder machines comply with the latest European recycling and hazardous substance directives and they have their own “dichroic” lens production facility. IAG focuses on manufacturing every product environmentally including the packing material. There is a department specialized in producing the paper corner protector to allow for recycling and to make full use of the paper materials. 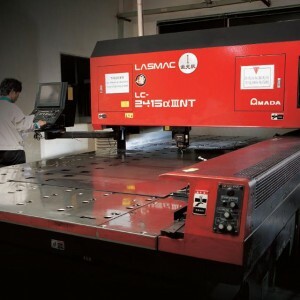 Not only do IAG have their own injection molding, casting, stamping, forging and printing machines but they also have a full set of sheet metal processing equipment from Japan AMADA. Quality is never compromised. With complete control over every process it is possible to regulate much more effectively than if there were multiple suppliers. At each stage of manufacture, a positive release mechanism is employed to ensure that all sub-assemblies meet the required standards. Furthermore, each finished product is fully tested before being released to distribution. Electronics products are tested for a continuous 24 hours before being shipped. IAG employ over 1500 full-time staff members. Staff enjoy a clean and safe working environment in a brand new factory in Jian that would embarrass most high technology manufacturers. Accommodation, food and uniforms are provided for all the employees as well as the health and safety equipment required for their job and full training to use it effectively. 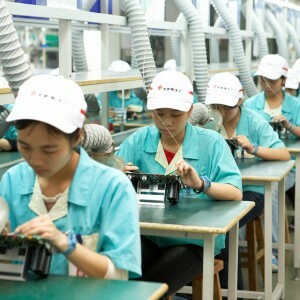 Last but not least, all line employees are trained by the foreign quality specialist in advanced soldering and production techniques and taught all of the skills required to meet the high quality standards set by IAG for the Wharfedale Pro brand. 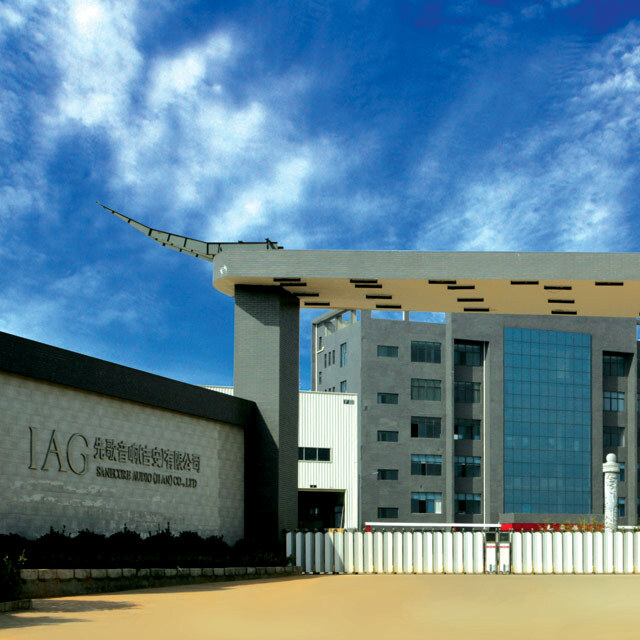 Although manufacturing occurs exclusively in China, IAG designers are pooled from the finest within each of their disciplines. R&D takes place on an international scale with designers, electronics engineers from the United Kingdom, Japan, China and Hong Kong. The strong R&D support function at the Shenzhen factory, which includes advanced 2D, CAD and modelling facilities, can respond rapidly to the requirements of each of the departments. 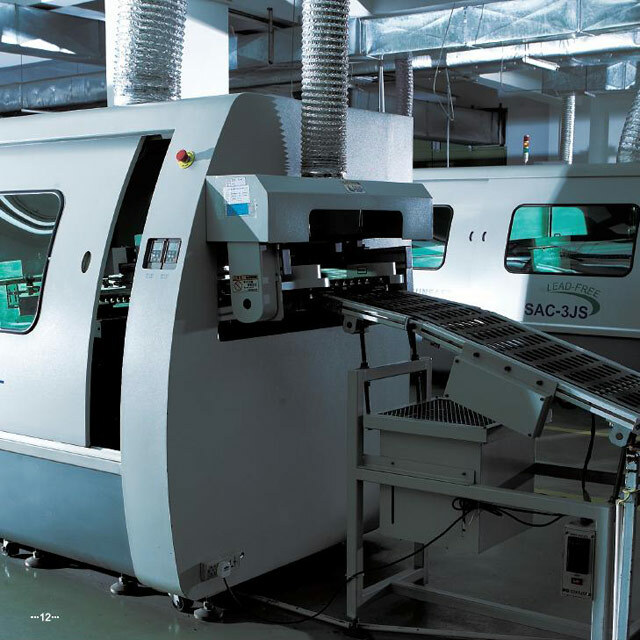 Because IAG even manufactures their own tooling, prototypes can be produced using real parts and then optimised as part of a single process. This means that they can go from design to market with bespoke designed parts in less time and with a much more predictable result. Advanced production techniques and machinery means that Wharfedale Pro can employ more advanced techniques and materials than their competitors. In addition, there is collaboration with the local universities in cutting-edge research programmes aimed at pushing the frontiers of technology. R&D will continue to take place on a worldwide scale in order to respond rapidly to the requirements of each of the markets and to stay ahead of industry competitors. All of this leads to better Wharfedale Pro products for distributors and end consumers. 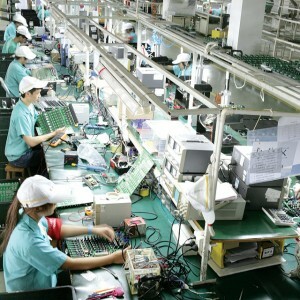 The sales, marketing and after sales service departments are all located in the Shenzhen office. This encourages close teamwork and maximizes internal communication – nurturing development of internal processes with the factories in Shenzhen, Jian and a subsidiary in the UK. By working closely with international distribution channels Wharfedale Pro has secured its strong position in the global marketplace. 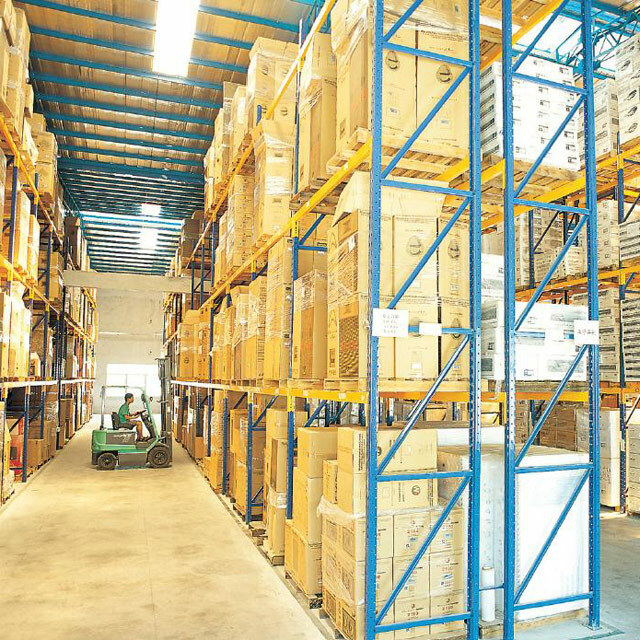 From their manufacturing base and by using a simple and well organised supply chain, IAG ships products directly to over 100 countries worldwide. Using state-of-the-art MRP systems, carefully planned production schedules ensure that stock is tightly controlled throughout the group. This ensures consistency of supply, whilst ensuring efficient manufacturing volumes are maintained. IAG UK is based in Huntingdon, the home of British audio. It also has a 59,000 square foot warehouse in Idle, Bradford, just five miles from the original Wharfedale Wireless Works factory. From here it distributes all of the group’s Hi-Fi brands and its’ Wharfedale Pro products throughout the UK and Ireland. IAG UK was set up at the formation of IAG in September 1997 with the acquisition of the Wharfedale and Quad businesses. 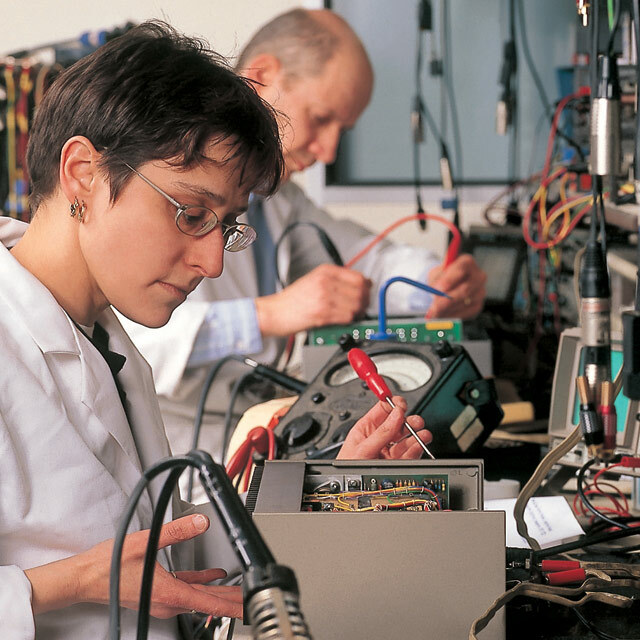 Since then UK product design and electronics engineers have played a leading role in the development of many of the Group’s products. The Service department also fulfils customer requirements on the current ranges of IAG products as well as providing spares and accessories. With more than 180 years of experience working on IAG products between its staff the IAG UK Service department is among the most respected in the audio trade. At Wharfedale Pro the goal is to produce high quality, affordable sound reinforcement both for musicians (professional and amateur) and for corporate installations, from superclubs to shopping malls. A combination of a passion for music and stringent quality control stemming from one of the world’s most famous loudspeaker companys means power, reliability and great value are what Wharfedale Pro is known for, and they are proud of it. End of Financial Year SaleGood News! Prices are down on many Light Emotion lighting products! !